What can I say? My sweet man knows me and he knows what I like. . . I love that he gets me. I mean, he “gets” me. . . He knows my moods and I have some spectacularly outrageous episodes. . .true moments of undefined glory and horror. 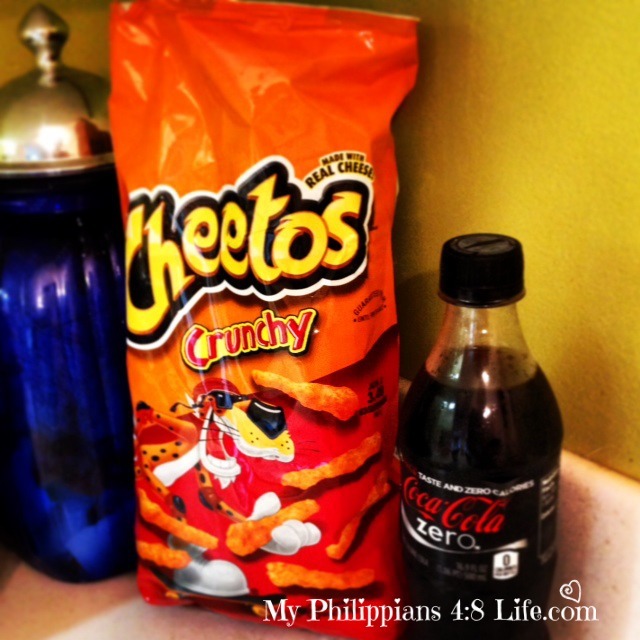 He knows my passion for dark chocolate, Coke Zero, Starbucks, and yes…Cheetos…the crunchy variety. 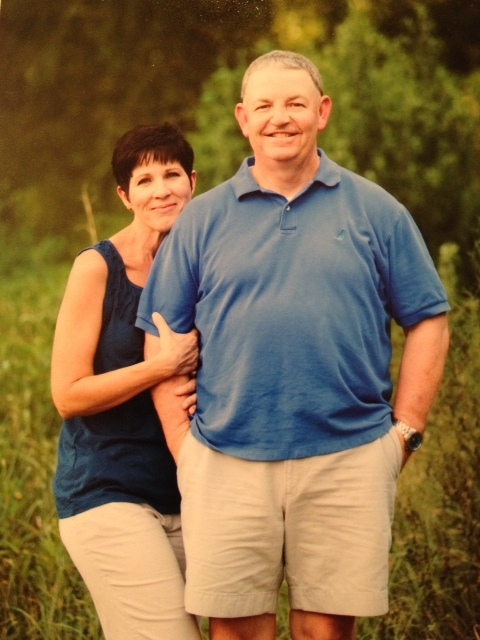 He knows me and that is the beautiful thing about a relationship of almost 33 years. OH MY WORD! That’s a third of a century….Crazy huh? He knows when I am quiet that I need my space to breath through “whatever…” and he doesn’t rush in. He knows when I am deep in reading that a gentle kiss will make me lift up my head and remind me that a real world does exist outside of my latest paged absorbtion . He knows I HATE admitting I am afraid…of anything, but with a gentle pull, I am in his arms. . .safe without saying a word. I know when to tiptoe. I know when to bombard him with kisses and tickles. I know when he is leaning toward Mexican food over wings or grilled seafood over a greasy burger and fries…It’s is all about the day he has had. I know when he worries about finances, our children, and our future. . .that I need to just lean in and sigh…and remain uncharacteristically quiet (for me) while holding his hand. I know when I can laugh AT him and his quirky humor and when to laugh WITH him and when to playfully sock him in the arm. We do not take each other or the gift of this time in our lives for granted. . .
And so for this lovely season it’s just simply GOOD. . . to know that I am loved by a man who knows me so well. 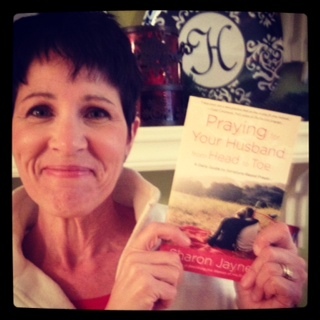 . .
Love Sharon Jaynes and her newest book!! AND TODAY IS THE RELEASE DAY FOR THE BOOK! 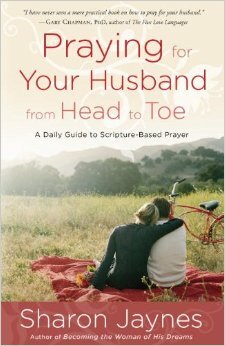 Sharon Jaynes’ heart toward prayer and marriage is honestly reflected in her newest book Praying for Your Husband from Head to Toe: A Daily Guide to Scripture-Based Prayer. This book’s unique approach to praying for our husbands sets this guide apart from others I have read. Literally, Sharon Jaynes guides women through Scripture to pray for their husbands’ bodies, minds and souls by using physical landmarks. This book provides the framework for consistent prayer for our husbands, and it supplies us with thirty days of daily landmarks to guide our prayer time. I break each day’s guide into sections and I use this book in conjunction with my ongoing Bible study and quiet time. This is guide will continue to be part of my daily prayer time. Sharon has included specific prayer landmarks that I find myself using for other people in my life as well. What a blessing this book is proving to be!